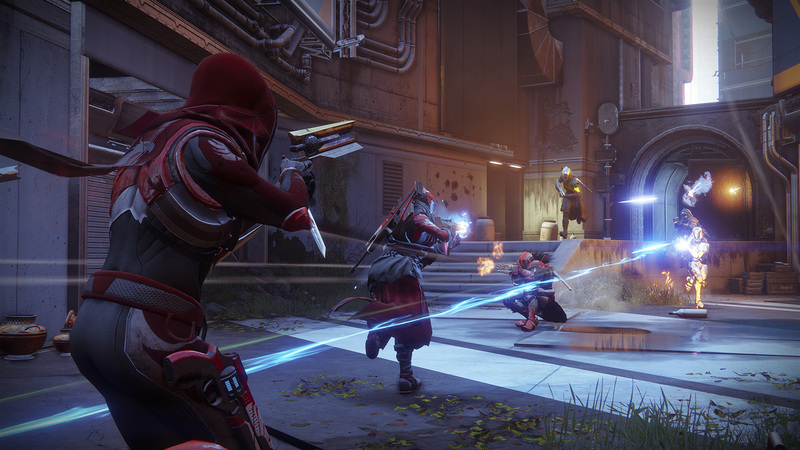 Bungie's shared-world shooter is known for a lot of things. It has a dedicated community and excellent gunplay mechanics -- but Destiny has never been known as a game with a great story. In fact, the original title's story is notoriously vague, to the point that a single quote from the core game is both emblematic of the entire narrative and an in-joke: Destiny doesn't "have time to explain" what it doesn't have time to explain. The original game's storytelling was bad enough that I almost dismissed its sequel without playing it -- but Luke Smith promised me that Destiny 2 was being written for players just like me. I gave the game a shot at a recent review event and you know what? He's right. Bungie has finally figured out how to tell a story. If you played Destiny 2's free open beta, you already know how the game begins. A race known as the Cabal have launched a surprise attack on Earth's last human city, engulfing the first game's primary social hub in chaos. The player and the Guardians try to defend The Tower and drive off the attack, but ultimately fail. Our heroes are driven out of The City, stripped of their powers and scattered throughout the solar system. The symbolic intent of this first mission is clear: forget the first game, it says -- we're tearing it down and starting fresh. This isn't to say that the lore established by the first game no longer counts, it's just not a prerequisite for understanding or enjoying the narrative of Destiny 2. It's okay if you don't know who the Guardians are, how "the light" gives them superhuman powers. You won't be at a loss if you don't understand what the moon-like object the heroes call The Traveler is -- you'll learn the pertinent details of each as the game's opening missions separate you from them. It effectively sweeps the first game's narrative problems under the rug to make the story easier to understand. It works, too. 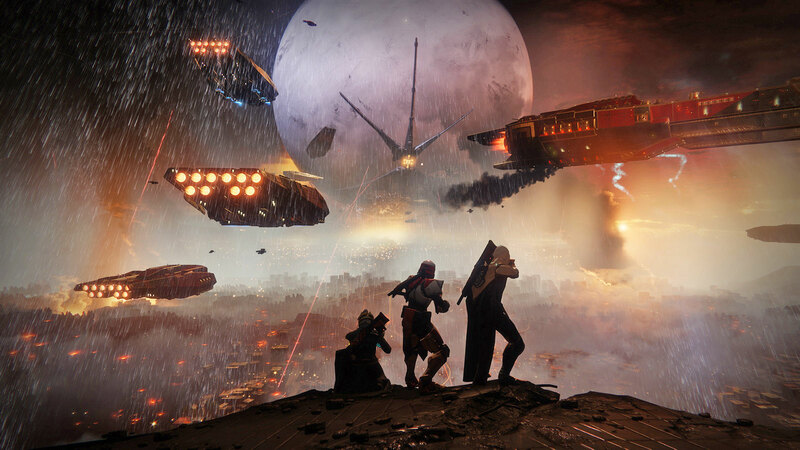 Stripping the game of its status quo is what gives Destiny 2 the freedom to introduce itself to new and old players alike. Unfortunately, this also means that Destiny 2 is evoking a hated and tired old gaming trope -- a cliche that gives players a taste of power before unceremoniously ripping it away from them. The opening missions cast the player in the role of a seasoned and powerful Guardian, but takes those abilities away after the first two levels. 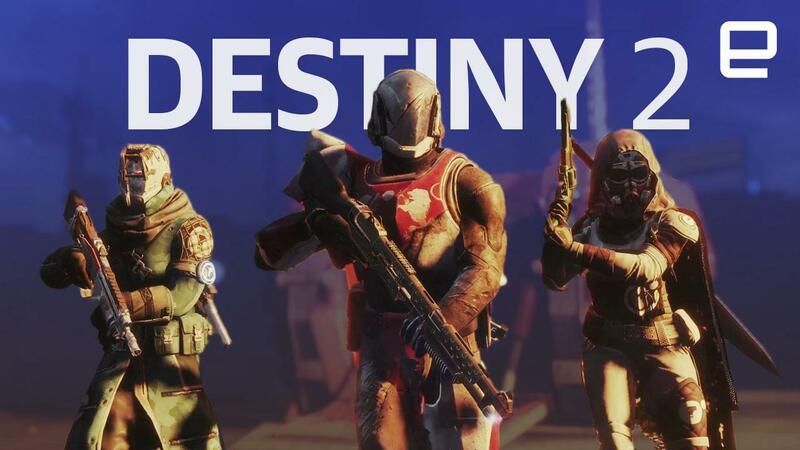 Gamers who earned that power in the original Destiny will undoubtedly find this bait and switch mechanic frustrating, but for new players, the trope serves an important purpose. Bungie actually uses the cliche as a vehicle for revealing the game's lore to the player in a natural and endearing way. New players won't come to understand the importance of The Traveler and the blessings the mysterious orb bestows upon the Guardians through overwrought narration or exposition, but by experiencing the loss of those blessing firsthand. 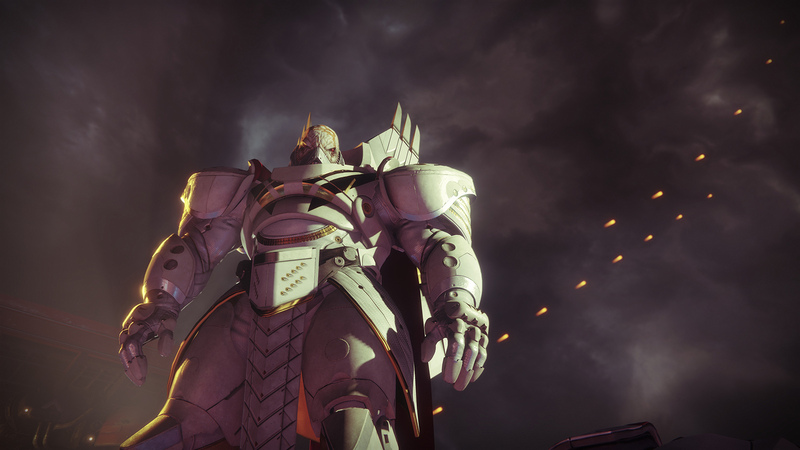 During the game's first story mission, players will witness the Cabal destroying humanity's last safe city, watch helplessly as enemy ships ensnare the mysterious Traveler and fall to their knees in front of Dominus Ghaul, the game's main villain and the warlord who cuts the Guardians off from the Traveler's light. As the player falls off of Ghaul's ship to the ruins of the city below, the game embraces the cliche of its power-tease trope to show the player the importance of everything they just lost. It's here that the game's narrative truly begins. 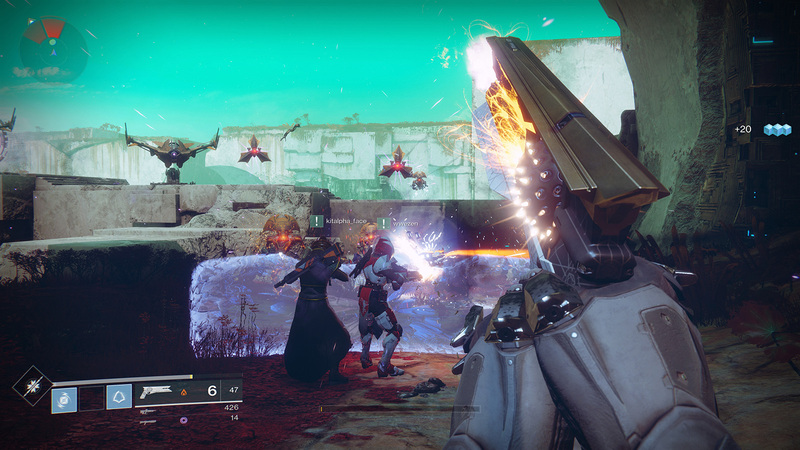 Destiny's iconic spongy gameplay temporarily fades to the background as it forces the player to helplessly trudge through a third-person stealth mission that sets the scene for the rest of the game. Stumbling through rocks and debris with your depowered Guardian imparts the gravity of the situation. Without the blessing of the Traveler's light, the game's hero can barely walk. When the player eventually finds their Ghost, the floating robotic counterpart to their Guardian, it warns them that it can no longer resurrect them -- revealing that re-spawning in Destiny 2 isn't just a game mechanic, but lore. Every time the player dies in-game, their Ghost uses The Light to literally bring them back to life. What makes all of this work so well isn't so much the hooks of the story -- those are actually fairly formulaic -- but the fact that Destiny 2 tells its story by making the player live it. The game didn't tell me that the Traveler was the source of my character's powers, it showed me by taking those powers away from me and rendering me helpless without them. The game didn't tell me the Cabal was a threat the likes of which I'd never seen before, it showed me by making me live through the loss of the Guardian's Tower and the last city. The theme of learning the game's lore through loss doesn't last long. Eventually, the player stumbles across The Farm -- Destiny 2's new social zone -- and regains their lost "light" and basic superhuman abilities -- but by the time the game's introductory story arc close, the stage is well set. The player knows that the Guardians are now an underdog, rebels who need to fight to regain what they've lost. They understand what their character is without the blessing of the Traveler -- a theme underlined by a cast of new human characters that drive the point home that most Guardians are no longer any more special than the average person. Most importantly, we have a clear understanding of who the villain is by the time the first chapter closes -- and not only are his motivations threatening, but relatable. Destiny 2 is a game that has the strong start its predecessor never did. Better still? The narrative doesn't let up. As the campaign proceeds, it keeps the player hooked on a personal level, telling the story through action rather than exposition. It's not always detailed, but it doesn't embody the infamously vague storytelling that plagued the original. It's a stark, but wonderful contrast. From a story perspective, the actual game that was the original Destiny felt like a waste of the universe built around it -- the franchise's Grimorie had countless pages of lore and story, but most of it wasn't part of the game experience, making it hard to really understand the story by merely playing the game. There's undoubtedly more to the world of Destiny 2 than what the game reveals, but players who don't want extracurricular reading won't be lost this time around. For players like me, that's an enormous step forward. Okay, okay, the narrative is better. You probably get it by now -- but how does the game actually play? 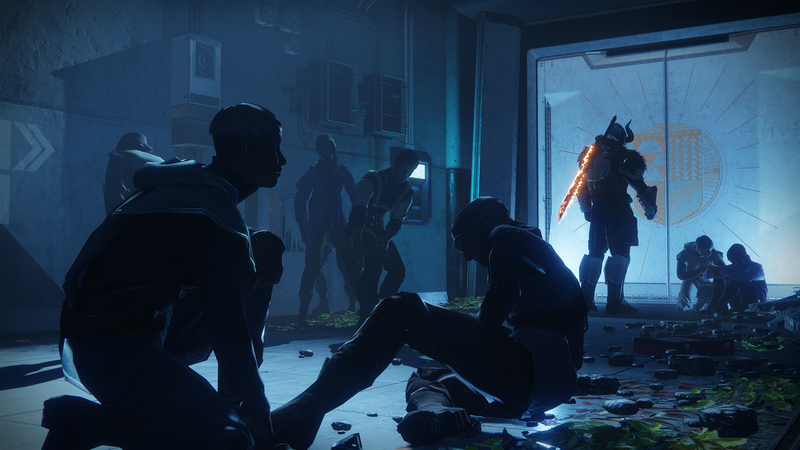 For fans of the original Destiny, it'll feel like a familiar experience, but as I said in our preview of the European Dead Zone area, the structure around the game is vastly improved. Destiny 2's missions are now offered out in a more accessible open-world environment. It's all about presentation -- the core mechanics aren't too different, but it feels more like a massively multiplayer sandbox than the original game. It's less formulaic, too. Sure, there are still plenty of campaign missions that amount to fighting through waves of enemies, but there are also some surprises, including large set-piece missions with tanks and vehicle combat. Unfortunately, I can't speak too much to the quality of Destiny 2's multiplayer and end-game content. 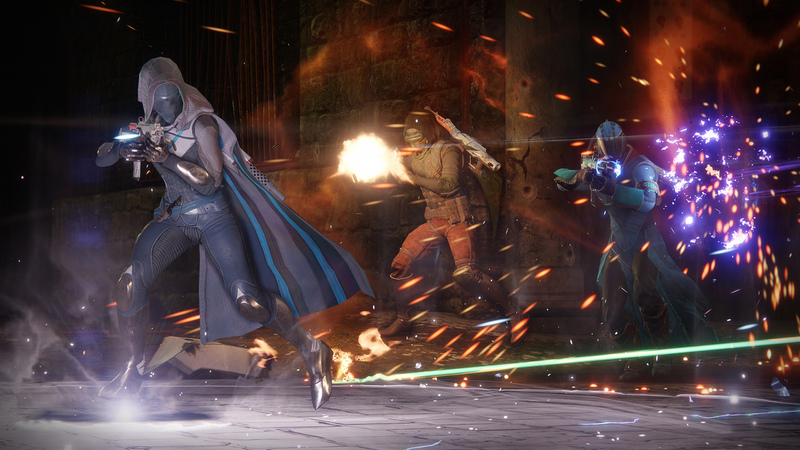 Strikes, Daily Challenges, Patrols and Raids don't unlock until well into or after the end of the game's campaign. The game shares enough fundamentals with the original that if you liked those events in the first Destiny, it's likely you'll find them satisfying in the sequel as well -- but we won't know for sure until the community dives into the next chapter of the franchise. I spent two years trying Destiny off and on, trying to understand the appeal that had hooked so many of my friends. I never found it -- but my aversion was never because of bad game mechanics or a frustration with PVP balance, I just couldn't get invested in a game that clearly had such a wealth of lore yet failed to effectively tell a story until The Taken King expansion was released. Destiny 2 doesn't have that problem. This is a space opera that makes full use of the interactive medium of gaming. It's not perfect, but if an engaging narrative is what you felt the first game lacked, the sequel may be what you were looking for.